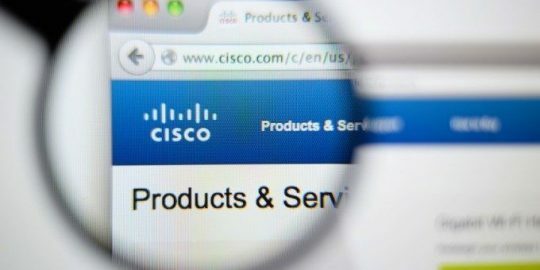 Cisco has begun releasing updates that patch the flaw, details of which were disclosed Monday by Google Project Zero researcher Tavis Ormandy, who has made a number of high-profile discoveries and disclosures in popular enterprise and security software. “The extension uses nativeMessaging, so this magic string is enough for any website to execute arbitrary code (!! ),” Ormandy wrote is a bug report posted to the Project Zero site. An attacker hosting an exploit online would only need to convince someone running the Chrome extension to visit the site. The vulnerability was privately disclosed last Thursday and by the weekend, the Chrome Web Store was blocking new installations of the extension. 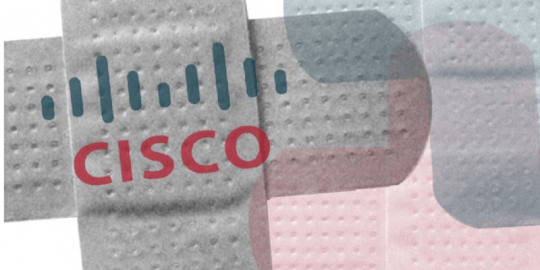 Cisco, meanwhile, had a fix in version 1.0.3 prepared as well, though Ormandy said there could still be an issue. The patch will roll out to users automatically. Researcher Filippo Valsorda of Cloudflare called the patch “weak” on Monday. “All it does is show a popup like the following. Clicking OK will still cause malware to be installed,” he said. Valsorda also cautioned: “Moreover, the webex.com website is still allowed to bypass the popup. 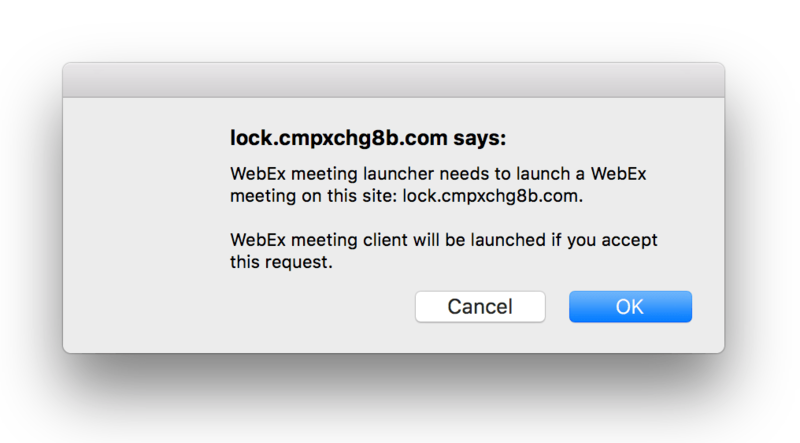 If a vulnerability is found on the webex.com website, it can be used to compromise any machine running even the updated version.” Valsorda shared instructions on creating a dedicated WebEx profile he said would mitigate risk from the vulnerability. Ormandy describes his dissection of the vulnerability in the bug report. As the extension invokes a command to launch a meeting, Ormandy found that a number of properties are passed during the session, some juicy enough for code execution. 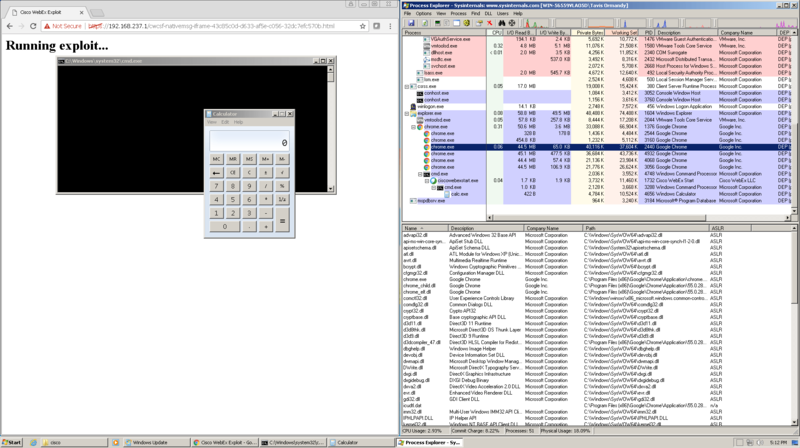 WebEx, Ormandy said, ships a copy of Microsoft’s C Runtime, CRT, which he used to execute system calls. “Unbelievably, that worked,” said Ormandy, who also published a proof-of-concept exploit. 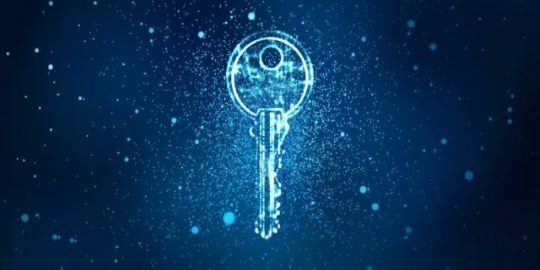 Ormandy is known for a slate of public disclosures of popular security and business software, including LastPass, Sophos, Symantec, Kaspersky, FireEye and others that have been patched. The current cisco webex chrome extension version in the Chrome store is 1.0.5. Can anyone confirm the fix for Remote Code Execution in version 1.0.5?